Writing for your nonprofit or small business shouldn't be a chore. The Nonprofit Copywriter Blog is the place to come to make it simple. Check out the blog for easy, practical writing tips and trends. You can even subscribe to your RSS feed and get our regular updates all in one place! Learn more about getting an RSS feed when you go to our blog page, see the “Subscribe to this Page” box on the right, and click on the question mark in the upper left corner. Check it out! Here are three of the most popular copywriting formulas to use in appeal letters (and letters of all types, for that matter.) Each lists the same elements in simple outline form, but each with a different approach. Different writers are inspired in different ways. Try these formulas and use those that help you write the best appeal letter. 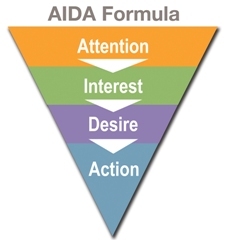 The acronym stands for four conceptual elements that are crucial to an effective letter: Attention, Interest, Desire and Action. Attention: Grab the reader’s attention with an interesting fact, story, statistic, or startling statement about your cause. Interest: Keep the reader’s interest by explaining the need further – and why your organization is the answer to the problem. Here is a great place to unpack a beneficiary’s story further and show how your organization helped her solve the problem. Desire: Build the reader’s desire to alleviate the problem by showing what she can do to make a difference. Action: Move the reader to in a call to action with clear instructions about what she should do, when she should do it, and what will happen if she doesn’t do it. Picture: Paint a picture in the reader’s mind that grabs their attention and explains the problem your organization addresses. Promise: Point out the benefits your organization offers as it solves the problem. Readers need to see that you offer a solution to the problem. Proof: Demonstrate credibility for why and how your organization can keep that promise and solve the problem. Push: Make an Ask with urgency to get readers to take the next action now. Star: start with an attention-getting opening that is positive and upbeat. Chain: create a chain of convincing facts, benefits, and reasons that transform the reader’s attention into interest and interest into desire. Hook: entice the reader with a powerful call to action, making it easy to respond. Even if one or two links in the chain are weak, a strong hook at the end will compel the reader to act … reeling him in. A 49-page course that teaches you the process of writing a web page that "gets the click." Part e-book, part checklist, part infographic, and 100% great information about writing concisely, but with compelling content -- especially for places where you don’t have much room. A free tool that analyzes your online marketing efforts – your website, blog, social media sites – and lets you know lets you know where you're succeeding, what you need to improve, and how to do it. 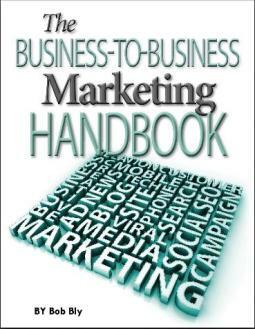 Bob Bly’s B2B Marketing Handbook (a free PDF download) outlines handy and helpful ways to communicate the value of your service, product, or cause, especially as you divide your budget and time among new communications vehicles.